Putting up holiday lighting on your house and trees can involve a lot of work, time, and stress. 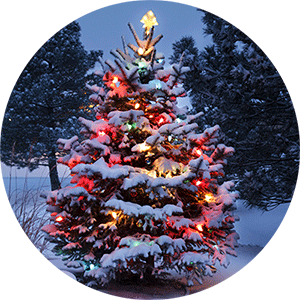 Make your holidays brighter by letting Schulhoff’s professionally trained arborists put up holiday lighting for you. Fall is a very important time of the year to upkeep and take care of your trees and lawn. This is the time of year in which leaves are changing colors and, later, in which trees lose their leaves all together. The reason for this is due to the lack of energy the trees are receiving. Trees go into a dormant state in the winter, so it is crucial for the health of the tree to properly prepare them for the harsh conditions to come. Fall is an important time of the year for trimming. As our trees start to go dormant, proper pruning will help to promote future growth patterns. 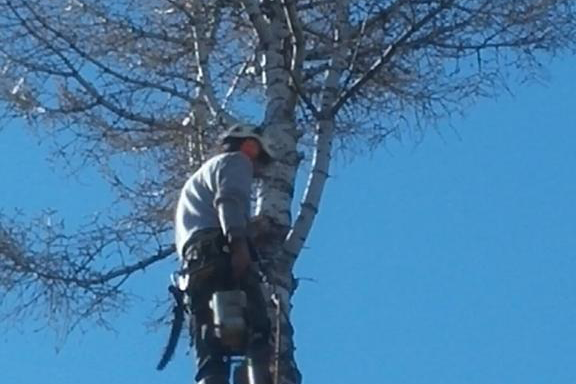 As we work on maintaining the structure of the trees, we are trying to help them hold up better in the harsh winds, snows, and other stresses that do cause breakage. We can help protect the crown to promote growth, not fight against it, which allows the tree to grow and hold up better in the winter conditions. All trees, even fruit trees such as the Apples, Crab apples, and Pears, do require dormant season pruning and maintenance. Fall is one of the best times of the year for root growth. As fall comes, the length of the days shortens, temperatures drop, and the above ground part of the tree goes into dormancy. It shifts its focus from photosynthesizing to gathering energy though its root system, and helping those roots grow will help the overall health of the tree. As the root system grows, it absorbs nutrients to help store for future use. Deep root fertilizing will help the tree absorb those nutrients. Our fertilizers will give the tree slow release nutrients, micro-nutrients, organic material, and microbial spores to help increase the health of the soil that the roots reside in. The fertilizer we use is a much better product for the soil, tree, and the environment. 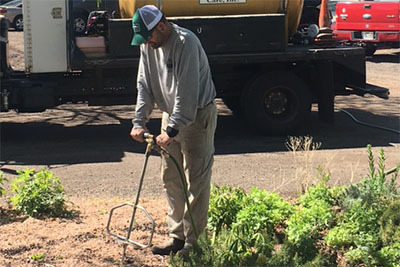 One of the most beneficial practices for building the health of a lawn is topdressing with compost. Our Denver soils are poor, and we can’t seem to add enough organic material to benefit them. To help offset this issue, we have been adding compost to lawns. Adding a larger volume of compost over a lawn helps to build the soil. The more you build the soil, the turf enjoys better conditions and will respond positively to the treatment. Most of the time, we combine composting with a heavy aeration to help incorporate the compost into the soil. Some of the benefits include: water permeation, nutrient release; reduction in compaction, increasing positive microbial activity, and the list goes on. 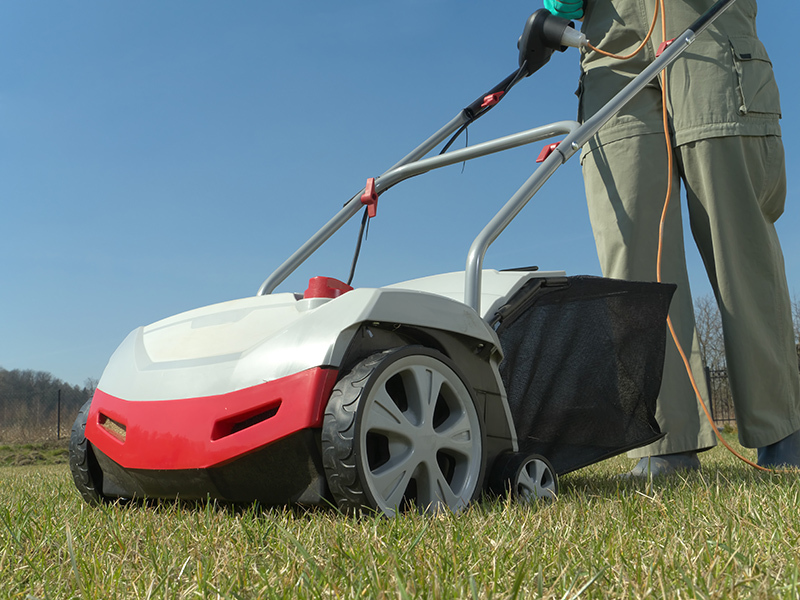 If you are looking to help your lawn this fall, this may be something you may want to incorporate into your program. Fall is a great time of year to consider removing tree stumps. Stump grinding will not only do away with the original stump, it will also grind the stump to the point that it will not produce much in the way of little sprouts all over the yard, as is common with stumps and root systems that are left in the yards where a tree used to stand. The tree stump is usually ground below the surface of the rest of the ground, getting rid of much of the pulp that could lead to future growth in that area or the area around it. 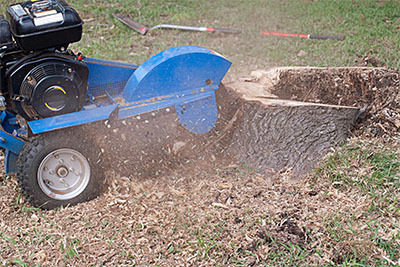 Stump grinding usually limits the amount of future growth, makes the yard look better, and is affordable, making it a great option for most homeowners.